Geared for Growing has been serving the needs of Sonoma county for over 30 years. We have won over 80 awards for excellence in craftsmanship and design. We offer a seamless design/build approach to outdoor living at its finest. By listening carefully to clients needs and desires we can help make your dreams a reality. We offer advice and consultation, design, construction and garden maintenance, using the latest in water saving technology and construction practices, low maintenance and sustainable garden practices. Our designers strive for simple, elegant, and practical design solutions. Their goal is to educate and advise their clients so together they can make the best investment decision.We feel that a garden designed and installed properly is an investment that will give years of beauty, save time and energy, and appreciate in value. 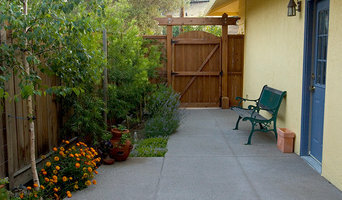 Bay Area's premier landscaping contractor. Focusing on all your outdooor needs. Custom Masonry, landscaping, outdoor living, special effects, custom concrete and staining and much much more. JPM Landscaping Has been creating Quality landscapes since 1984. We specialize in custom landscapes that fit your life style. All of our landscapes incorporate the ever popular need for low water and low maintenance landscapes. 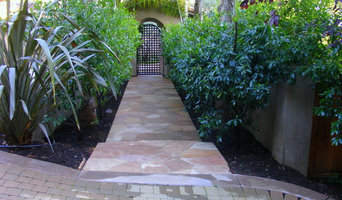 Our unique design style includes: landscaping with plants with interesting foliage and flowers, rock gardens with boulders and unique stone work, drycreeks, flagstone seating areas, natural stone raised beds, slates and travertines. Our design style is mostly traditional with a bit of modern Asian flare. But, the English gardens with lots of color and a formal feel, and the straight line modern that incorporates woods and stones, are all design styles that we enjoy creating. As a design-build company, we can take your needs and desires and turn them into reality. The landscape Design process, starts with a consultation at your home where we discuss your landscaping needs and desires and then determine the design style for your homes landscape. We Discuss: hard-scaping, shade and privacy issues, water conservation, garden focal points like: fountains, waterfalls, benches, pottery, plants-tree, fire pits. We also discuss activity areas like: dog play areas, raised vegetable gardens, kids play areas,barbecue areas and adult relaxing areas. Once we understanding your landscapes vision, we get to work and start to create a landscape design that is a unique fit for each and every one of our clients. Once the design is complete, we can implement the whole project start to finish. We will be there through the process of choosing just the right material for your new landscape. Paver, flagstone, landscape lighting, arbor paint colors, Mulch and stones are all decisions that will need to be decided during the landscape project, and we help you through all of them. Together, we can create a landscape that fits your lifestyle and your budget. 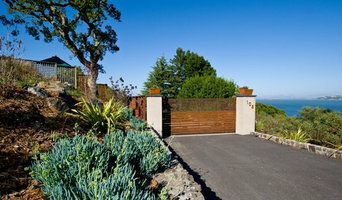 Blue Sierra Landscape Construction has been family owned & operated since 2000 with an exemplary reputation in designing and building modern landscapes in Northern California. Our company’s ultimate goal is to add class & value to your home at the most competitive price possible. We work with a great team to achieve 100% customer satisfaction by offering the highest quality work, and ethics. We specialize in a broad range of landscaping techniques and work hand in hand with a team of architects and horticulturists, who as well as us, place a high value on the each client with personalized installations to fit their specific needs. Solid Rock is an award-winning landscape company built on the principle of integrity. Owners, Noah and Kari Gale strive to bring honesty and reliability in all they do, both professionally and personally. The Gales have been married 29 years - Noah has been working in the landscape industry for 33 years and has lived in the Bay Area since 1977; Kari has recently joined Noah in the business and has lived in the Bay Area all her life. Solid Rock Inc. is a bonded, insured, land development/landscape company with General Engineering and Landscaping licenses. Our highly qualified staff, both in the field and in the office, are committed to working closely with you from your first contact with us throughout your project to provide you with the highest standards in customer satisfaction. Noah and our staff will provide you with comprehensive estimates, weekly schedule updates, weekly on-site meetings, and quality communication. Noah has an extensive background in drainage, hillside retention, concrete footings, and he has many years working closely with soils engineers. He is also an artist who thinks creatively and out of the box. Solid Rock employs highly skilled craftsmen who have been with us many years and who have their own specialties: masonry, lighting, planting, irrigation, boulder design and installation as well as other areas of expertise. Our artistic, quality projects bring long-term value to your home. We have three core values at Solid Rock which guide our decisions: Quality. Artistry. Integrity.